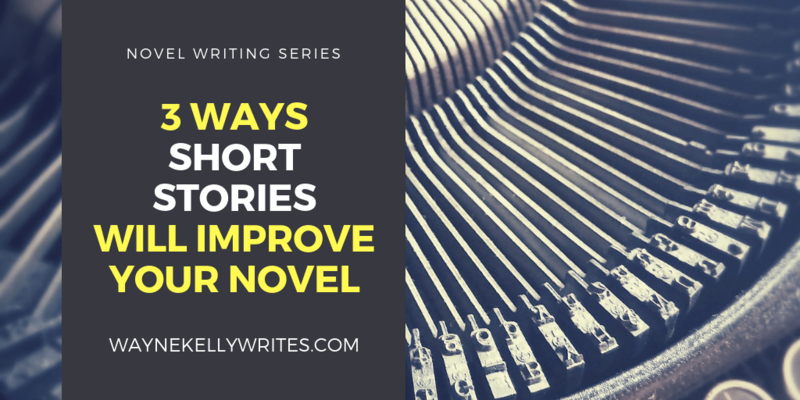 Short stories can help improve your writing and freshen things up when you’re bogged down in a novel. In my last post I talked about the need to ‘reset’ and ‘rewrite your attitude’ when things get tough during a longer project, and taking a break to write something short can be a great way to do that. There are also other valuable lessons to we can learn when tackling the shorter form. Have a word count in mind before you start writing. True, you could just go with the ‘a story is as long as it needs to be’ school of thought, but for the purposes of improving your novel-writing skills, try imposing a strict limit. Even better, find a competition that sets those guidelines for you. Write the first draft loose and don’t worry too much about it, then sharpen your editing skills, dust off that red pen and let the cutting begin. With the help of one of my critique group members, I once took a story from over 3000 words down to 1700 and was astonished to find not only did it still work – it was actually much better. When the time comes, you’ll be able to apply the same ruthless efficiency to your novel, strengthening your story and tightening your prose. Scenes and chapters in a book often need to work in the same way as a short story. They must serve a purpose, to take us from A to B or to deepen our knowledge and understanding of a character. Something needs to have changed or we have stasis and stasis is to a story what rust is to a car; it will keep going for a while, but eventually it’s going to breakdown and leave you stuck in the middle of nowhere. You should approach writing your short story as an excercise to hone your scene-writing skills. Depending on the word count of your story, you may be limited to the number of scenes you can include, so every word needs to count. When writing any fiction, try to remember the maxim: COME IN LATE, GET OUT EARLY. In other words, think carefully about where your story starts and only introduce the reader to your scene when the relevant stuff is happening – in media res is the posh way of saying it – and then get the hell out of there as soon as you’ve said what you need to say. Focus on this technique with a short story and then apply it to your novel. Ever write several thousands of words on your WIP (maybe even the whole thing) only to decide it would have been better using a different POV? Maybe you wished you’d written it in present tense, instead of past? Perhaps you want to test drive a new character, location, genre or time period? The short story is a great medium for trying out new ideas. My current WIP – SAFE HANDS – sprang from an experimental short story I wrote. I wanted to try first-person POV in present tense and to see if I could create an unsympathetic, yet compelling main character. I’m now making the final edits to a novel that wouldn’t have existed had I not tried out the idea as a short story. It’s the perfect arena for playful experimintation and at the end of it you too will have a new short story or the basis for a brand new novel. That’s just three of the ways writing short fiction can positively impact your novel-writing skills, but it’s an area I’ll be diving into in more detail in a future blog for Joined Up Writing. In the meantime, I’d love to hear your ideas so please leave me a comment below. If you want to read one of my short stories, you can download one for free right now by joining the mailing list. It’s a dark little tale released just in time for Halloween and, by signing up, you’ll find out when new posts are released and will get access to more free exclusive content throughout the year.